Premium quality skateboard mounting hardware. Extra strength bolts and nylon lock nuts designed to endure high impact skateboarding. Beveled bolt heads lay flat and help reduce deck stress cracks. Available in sizes: 7/8" - 1" - 1.25" - 1.5". Perfect length for any set-up. 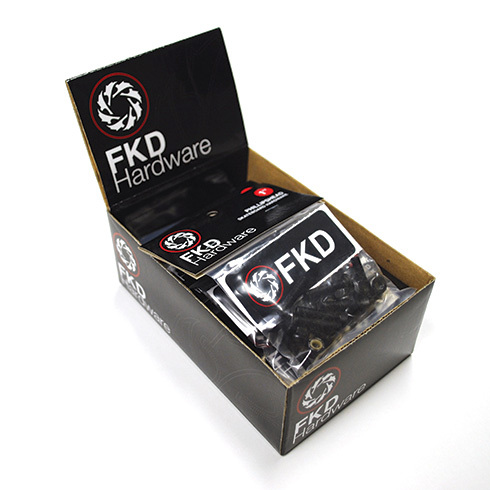 All content and images on this site are the property of FKD Bearings™. All rights reserved.